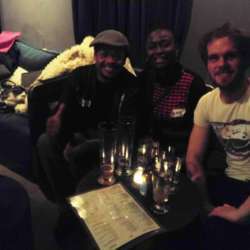 You are invited to come and meet other InterNations and Hamburg newbies at The Boilerman Bar HafenCity. This event is specially organized for you! To make the first step even easier, we've established the Newcomers' Event series. Contrary to normal events, this event is exclusively for newcomers. This way it is easier to get in touch and to get a taste of the real InterNations spirit in small groups. 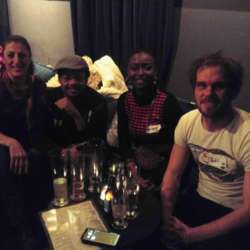 This will be a lovely evening to chat away over drinks and share experiences from your life in Hamburg. You'll have plenty of time to get to know each other and learn more about what InterNations is all about! This is a great opportunity to meet global minds, mingle, network and make new friends. 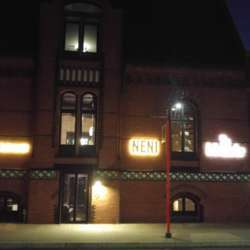 Our venue, The Boilerman Bar HafenCity is located in HafenCity. - You can take the U4/Elbbrücken from the Hamburg Central Station to the Überseequartier and then walk 290m to the Bar. - You can take the Bus #6/Auf dem Sande (Speicherstadt) from HBF/Kirchenallee and go to the Bei St.Annen then walk 350m to the Bar. In The Boilerman Bar in the 25hours Hotel Altes Hafenamt, you can enjoy in a cozy atmosphere exactly mixed highballs and long drinks. In 2012, Jörg Meyer and Rainer Wendt opened the first Boilerman Bar in Eppendorf. The name of the bar is the Highballs. Because in the American train ride the Highball was a signal that prompted the feeder to drive faster. If then had to be given gas, the Boilerman was the one who had to fire the boiler. 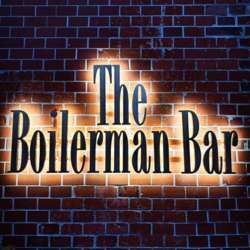 In the Boilerman Bar, it is the bar staff who are allowed to fuel their guests with their precisely mixed drinks. While Whiskey is the centerpiece of the Boilerman Bar in Eppendorf, the HafenCity is all about rum. An ever-growing selection of special rum, special rum highballs and tastings with guests make the Boilerman Bar a magnet for locals and travelers alike.